The biggest Kentucky Derby event in Arizona is just around the corner. 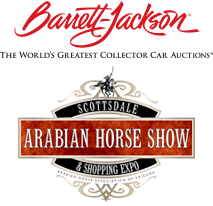 Nowhere else on Saturday, May 5th, can you find the elements of live horse racing, betting, and elegant tents like those at The Bentley Scottsdale Polo Championships. And nowhere else can you find the bold and beautiful fashion that makes it such a special day. A must-have for any Kentucky Derby party. This famous style originated in the 1870’s when founder Col. Meriwether Lewis Clark Jr. and his wife urged to reconstruct the race track into a place of high society. A key element to every woman’s outfit. Wedges and pumps are the usual suspects. No judgments here ladies if you don’t make it to the end of the day. Your best excuse to wear that fabulous dress hiding in the back of your closet. Or to get a new one. Come show off your finest Spring fashion. Are you ready for the Stella Artois Derby DayClub? For tickets, tables & more information check out the website or or email us here.